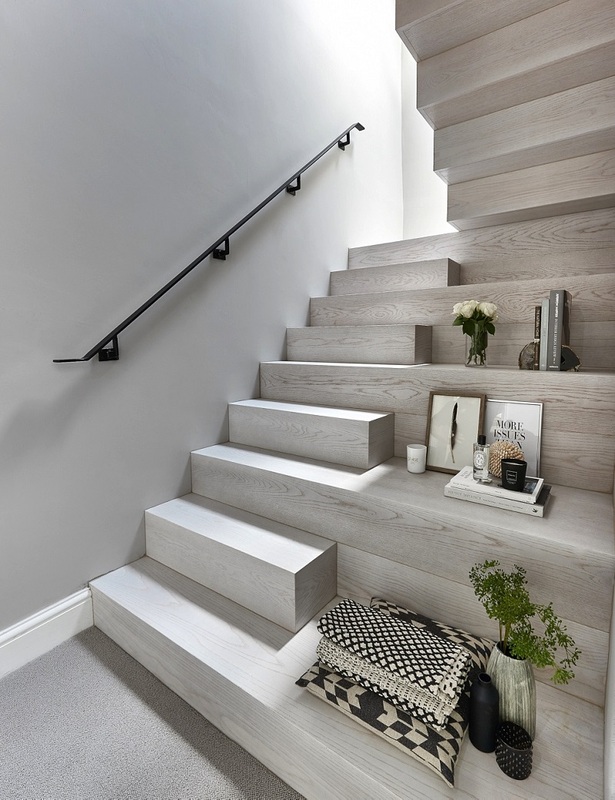 Every staircase renovation project that we work on at Jarrods is special for any number of reasons. But since the photo shoot for our recent adverts in the Times and Telegraph, we’ve been looking forward to telling you about one particular customer story. The Donohoes are dad Ronan, mum Sally, and their infant daughter, Clara. 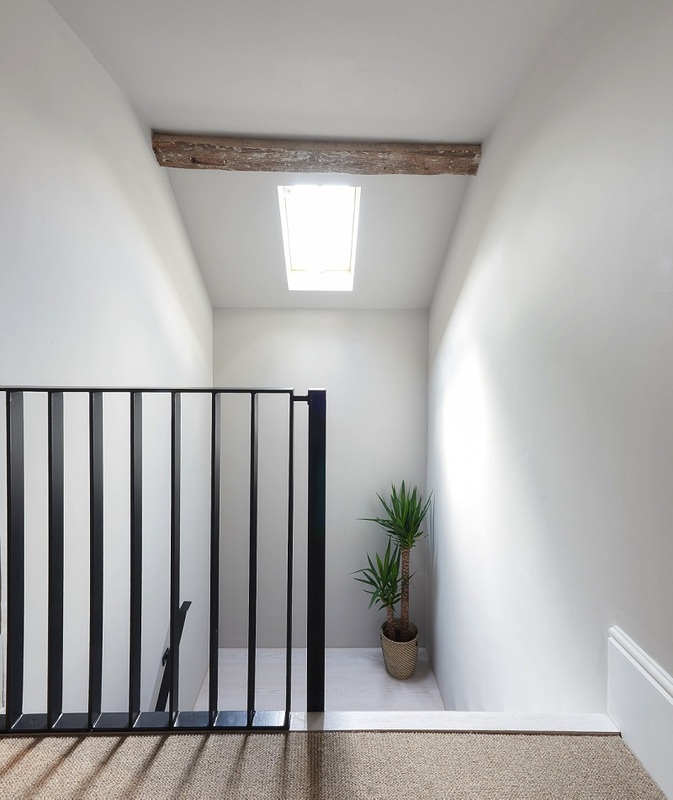 Here’s how we helped them to create a stunning bespoke contemporary wooden staircase for their Grade-II listed property. Open a wardrobe in the Donohoe family’s house and, rather than Narnia, you’d have found an old makeshift staircase which accessed the former servant’s quarters of the property! Unsure who they should approach for the installation of the staircase, the Donohoe’s architects had a suggestion. The Donohoes had a very specific staircase design in mind. Ronan and Sally wanted a hit-and-miss staircase. Stretching the entire width of the stairwell, the treads would follow a normal pattern on the left but every other step would be missing on the right-hand side. Hence ‘hit and miss’. 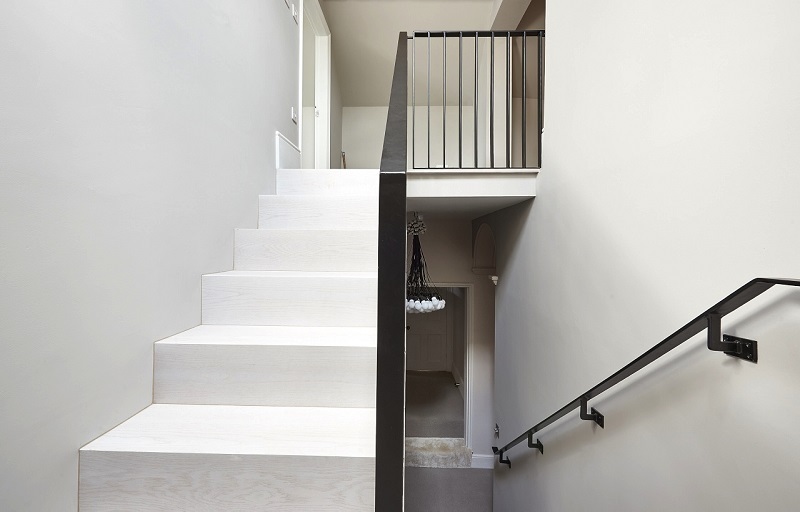 The staircase’s cubed format allows it to flow seamlessly alongside the lines of the house whilst also creating a real wow factor. But as well as being stylish, the design also had to be practical. Which is why the oversized steps also serve as ornamental storage space for the Donohoes. 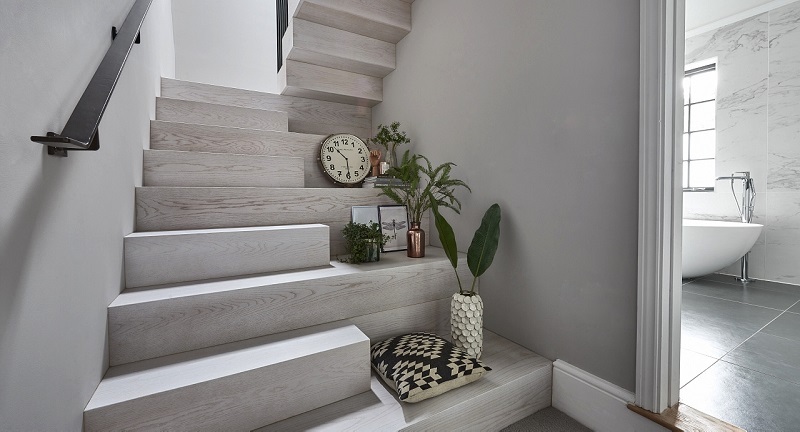 The substrate of the staircase was made from solid oak with our new arctic white wash finish, giving it a clean, fresh Scandinavian look. 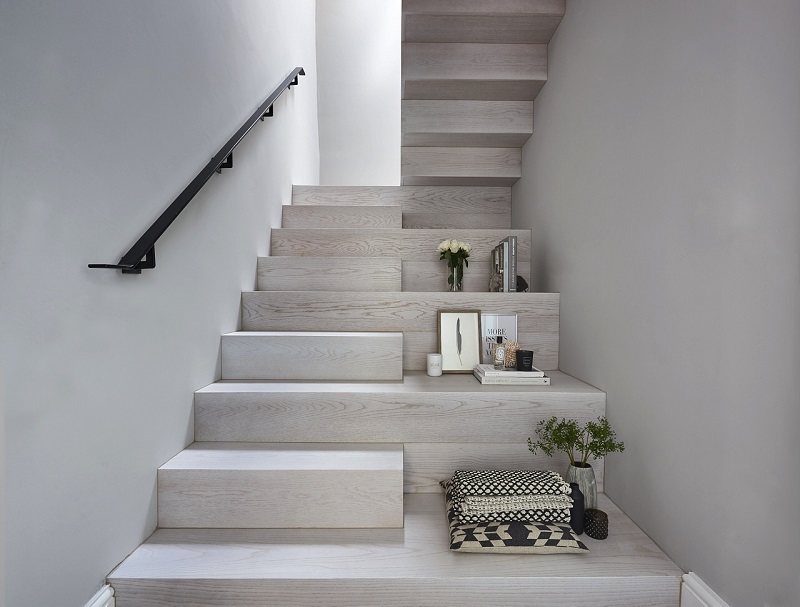 The minimal design continues at the turn of the stairs. The contemporary black metal hand rail on the wall of the first flight is replicated in the hand rail of the second flight with its flat geometric spindles. 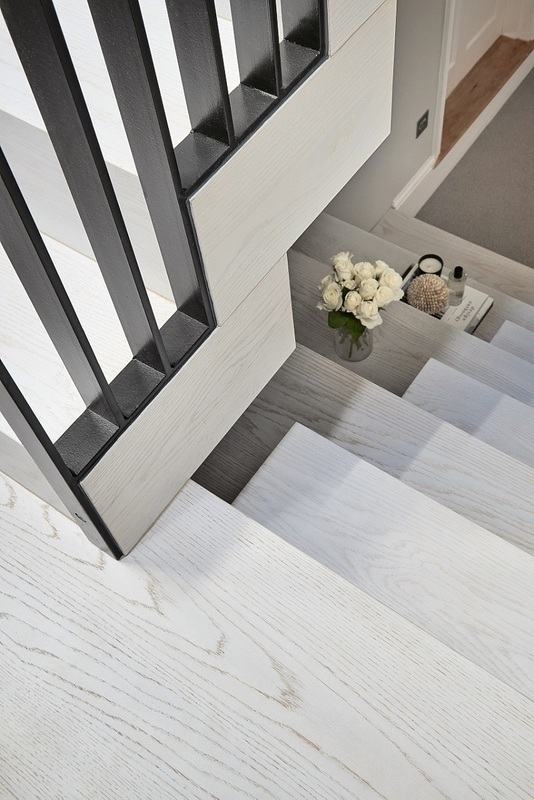 As always, we go out of our way to minimise any disruption during a staircase installation. Thankfully, it looks like we achieved just that for the Donohoes. One of the things that we pride ourselves on at Jarrods is the personal service we provide for our customers. It’s something that Ronan and Sally particularly appreciated.